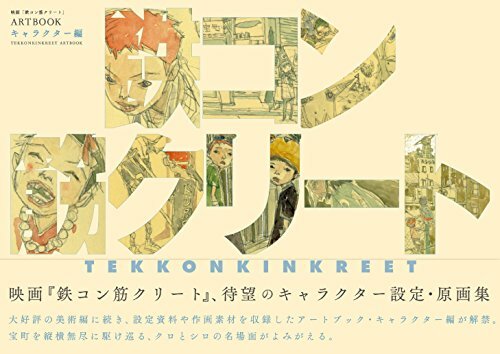 10 years after the animated film Tekkonkinkreet was shown, we now have the artbook. There are actually two other artbooks before this, namely Tekkon Kinkreet Art Book: Background Sketches and Tekkon Kinkreet Art Book: Background Paintings, and both are amazing artbooks that to me are better than this artbook. This 192-page hardcover is the official artbook for the film and it collects the designs for the characters, vehicles, colour schemes and animation boards. The environment artworks are included in the two other artbooks. There are lots of nice pencil sketches coloured with watercolour and character sketches. The second half of the book shows the sequential animation boards, the storyboards before colours are added. The drawings are very clean and the sheer number of panels just makes you wonder how much work is required to actually draw, colour and animate the film. It's a nice companion book although I prefer the other two artbooks much more. I'm not sure if it's a must-buy but if you want to complete your collection, I would say it's still a worthwhile purchase.